For information on each sponsor and their products and services, click on the links and images within the displays. In the Baltimore County region, you can visit NAPA Auto Parts in many locations such as Hunt Valley and Reisterstown. Click on the store photos to be directed to the Hunt Valley location's Facebook page. Click on the NAPA Auto Parts logo to be directed to the NAPA Auto Parts U.S. website. From the moment you walk in, you'll be confident that your vehicle is in good hands. CCC is a high-end vehicle storage facility dedicated to providing a state-of-the-art, highly-secure, safe, clean and climate-controlled environment for automotive enthusiasts to store their vehicles. Watch the commercial here! Since 2001, we have provided exceptional quality auto detailing service in Baltimore, Towson, Cockeysville and Hunt Valley. Whether you need car polishing, car odor removal or paintless dent removal, you can rely on the professionals at Diamond Detail to bring out the best in your car, van or SUV. Your One Stop, Before The Body Shop. Priority 1 Automotive Group is a family-owned and operated group of dealerships. Our mission is to continuously be "Driven to Excellence". Being "Driven to Excellence" means that we are always working to improve both our client experience and make our dealerships a place where our clients want to do business and our employees love to work. Our dealership is also fortunate to represent the best performance brands in the car market. With 3 BMW dealerships (BMW of Towson, BMW of Bel Air and BMW of Rockville), MINI of Baltimore, Porsche of Towson, and Audi Owings Mills, we love to work with clients who have a passion to drive. 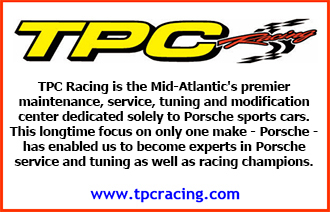 Also, in January of 2011, Priority 1 Automotive Group opened its certified BMW, MINI, and Porsche Collision Center. While our Collision Center specializes in body repair of BMWs, MINIs, and Porsches, we are excited to offer body repair to clients regardless of make or model vehicle that needs body repair. Priority 1 Automotive Group would like to thank you for the opportunity to earn your business and to provide you with the industries best sales, service, parts, and collision experience. Click the logos to be directed to each dealership as well as the Priority 1 Collision Center. Rosso Service specializes in Ferrari, Maserati and Lamborghini service and repairs. With Factory training and Master certifications, you will receive personalized and exacting service for your Ferrari, Maserati or Lamborghini. In addition, Rosso Service services European High Line automobiles and Domestic Sports Cars with the same care, precision and personalized attention that your automobile deserves. Servicing: Audi, Aston Martin, Bentley, BMW, Corvette, Viper, Ferrari, Jaguar, Lamborghini, Porsche, Lotus, Maserati, Mercedes-Benz and many more. Bob Davidson Ford Lincoln has been family owned since 1963. More recently, in 2007, we consolidated a total of eight Ford Lincoln Dealerships into one, making Bob Davidson the ultimate, one-stop Ford Lincoln Dealer! We have truly made excellence a priority, scored highest in customer satisfaction and maintained an unwavering focus on service, and Ford has recognized that by giving us the President's Award 12 years in a row! We are the only Ford Dealer in Maryland that has accomplished such a feat! That is all thanks to our strong and committed sales and service staff. We also sell Lincoln's and are currently the only Luxury Lincoln Dealership in the ENTIRE Greater Baltimore Area! In our state-of-the-art showroom we offer the fastest, free Internet access to our sales and service customers. As for service, we opened the very first Quick Lane Tire & Auto Center in all of Baltimore. Welcome to Brooks-Huff Tire & Auto Centers! If you’re looking for tires and auto repair in MD or PA, you've found the right place. With locations in Hunt Valley, MD, Timonium, MD, Towson, MD, Manchester, PA, Shrewsbury, PA, Hanover, PA and York, PA, Brooks-Huff Tire & Auto Centers has a strong history of automotive experience and customer satisfaction as well as quality products. Each location is specialized, and can help you determine which tire is right for you and your vehicle. Brooks-Huff Tire & Auto Centers is an authorized dealer of major brands like Goodyear, Dunlop, and Kelly. Browse our online tire catalog and request a quote. If you have any questions, one of Brooks-Huff Tire & Auto Centers well-trained staff specialists will be able to help. Detail Garage is your Destination for car care, professional auto detailing supplies, detailing equipment, car care accessories and training. Started by professional auto detailers and passionate care enthusiasts at heart, Detail Garage was born out of a need to create the ultimate playground and community for car care enthusiasts. When you walk into Detail Garage Baltimore, you will not only be greeted by friendly, enthusiastic staff but you will be welcomed by a vast selection of detailing and car care products. Finding a product that suits your specific needs is what we at Detail Garage do. Ranging from accessories - brushes, applicators, to tools and equipment and products to keep your car looking its best. Detail Garage has something for everyone. Based on the European model for training apprentice race car drivers, SPK provides an intense, thrilling, challenging driving experience that will stretch every driver’s limits and improve each driver’s skill. We essentially only offer one thing — Racing.